Lots of riders turned out on a beautiful Sunday morning to ride the land in and around Broughton Castle today. We would like to thank the Banbury Lions who have kindly nominated our Group to receive some of their profits from the event and all of the riders who took part. 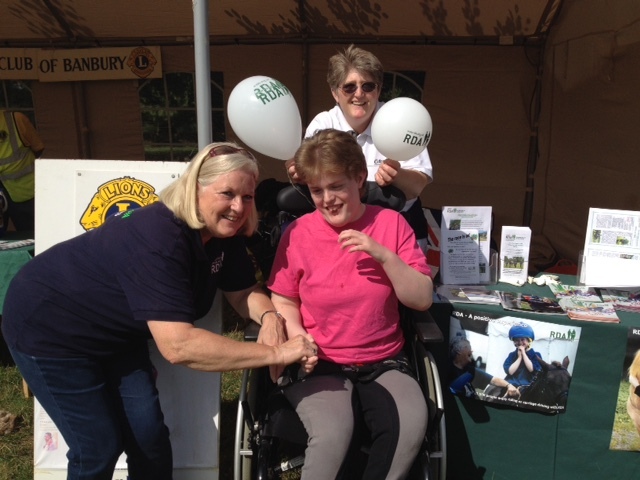 Pictured are Donna, Group Organiser, Marie and her daughter Holly who rides with us manning the stand. Next post: Summer Lunch – Great Hats!